Preparation of Oil Cake/Seeds suitable for Extraction to remove oil and produce defatted meal. Hexane Extraction of the material obtained from Step-A by using food grade n-hexane as solvent. The Extractor is a slow moving articulated band conveyor inside a totally enclosed chamber. The band conveyor is lined with perforated sheet, covered with stainless steel wire mesh for easy percolation of Miscella. The Band Conveyor moves on the rail provided inside the extractor. A series of sprays are located above the band conveyor for spraying miscella and solvent on top of the moving material bed of the extractor. During the movement of the bed through the extractor it is washed continuously at various points with miscella of decreasing concentration and finally with a fresh solvent in a counter current manner by means of sprays kept in a line over the meal bed. The miscella percolates through the meal bed, pass through bottom and collects in various hoppers kept below the bed which ultimately flows to the miscella holding tank. The extracted meal from the band conveyor falls into the discharge bin conveyed to the desolventising section by vapour seal chain conveyor. Unlike the standard designs which incorporate 7/8 stage Desolventiser Toaster to recover hexane vapors from defatted meal care is taken to protect the quality of protein by desolventising the meal in only 6 stages with the help of Direct and Indirect heating. 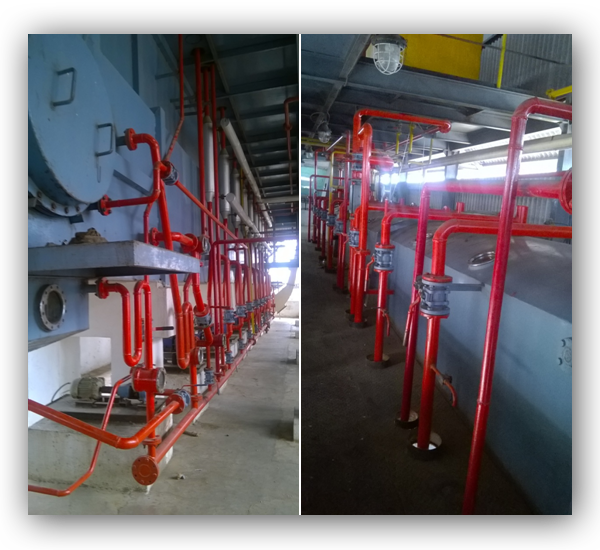 Is complete in 3 stages at temperatures not exceeding 95ºC to yield an oil of good colour and quality, free of volatiles and moisture, which can increase of FFA in storage. In the first stage 50% of the removal of hexane is done in a Rising Film Evaporator using hot vapours from DT. 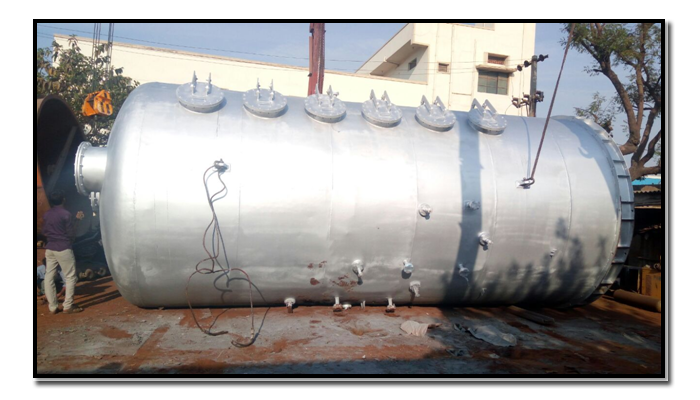 This specially designed RISING FILM EVAPORATOR is an ENERGY SAVING DEVICE. 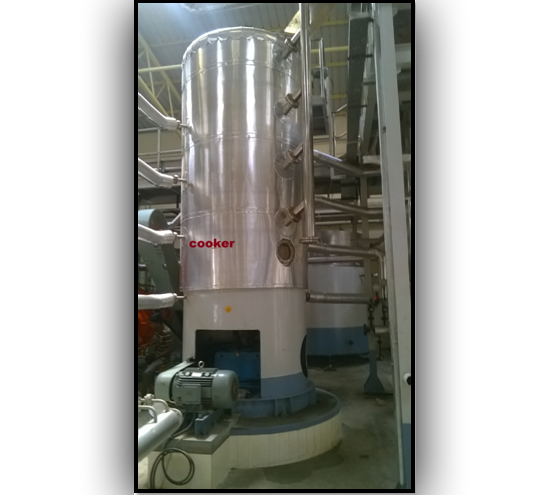 This stream consists of water cooled condensers, vent condenser and mineral oil absorber system to ensure the lowest hexane loss achieved. The residual vapours from these condensers are evacuated by vacuum pump or ejectors to a vent condenser cooled by water in close circuit. The residual air is aspirated through an absorption tower where mineral oil absorbs residual hexane in air before being exhausted to the air. The main function of this part is wetting , heating, cooking and drying the the flakiness, the effectiveness of the cooking will affect on the oil out rate and the quality of the meal.